Samsung just announced three new phones running Bada 2.0 — the Wave 3, Wave M, and Wave Y. Bada 2.0 is the Korean handset maker’s proprietary operating system. 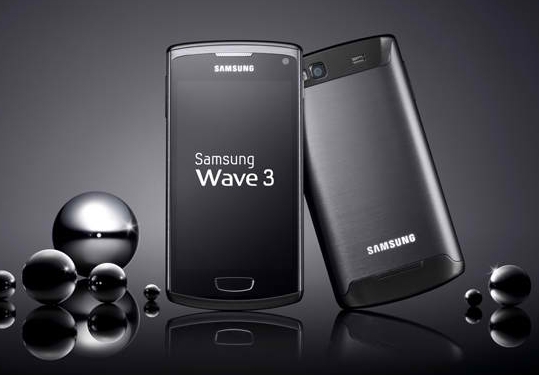 The Samsung Wave 3 is the best handset of the group, sporting a 4-inch WVGA Super AMOLED screen, 1.4GHz processor, and a 5-megapixel camera with auto-focus. It has an anodized aluminium body and weighs only 122 grams. The Wave M packs an 832MHz processor, a 3.65-inch 320×480 screen, and a 5-megapixel camera. The Wave Y, on the other hand, has an 832MHz processor, a smaller 3.2-inch screen with 320×480 resolution and a 2-megapixel camera. These new handsets have Samsung’s recently launched messaging platform ChatON onboard. The new OS supports NFC, voice recognition, and direct WiFi sharing, among other features. If you want to know more about Samsung’s Bada 2.0, watch this video.